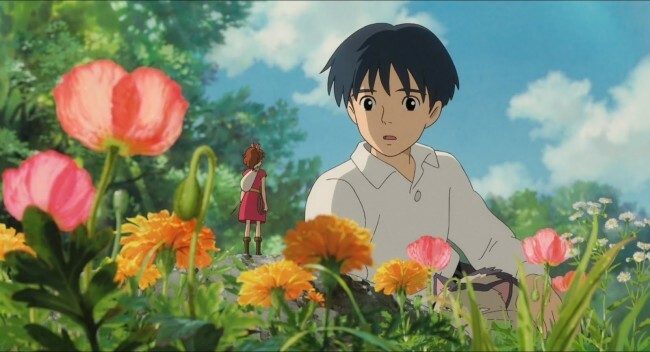 This feature-length anime, titled The Borrower Arrietty in Japan and The Secret World of Arrietty in North America, is a 2010 Japanese film scripted by Hayao Miyazaki of Studio Ghibli. The story is loosely based on The Borrowers, a 1952 children’s fantasy novel by English author Mary Norton. The Arrietty movie is accompanied by a gorgeously haunting Celtic soundtrack from French singer/composer Cecile Corbel. Released in Japan on July 17, 2010, Arrietty was the highest grossing Japanese film for that year. The movie also won the Animation of the Year award at the 34th Japan Academy Prize award ceremony. An American dubbed version was released by Walt Disney Pictures on February 17, 2012. Both movies are essentially the same except for the voices. The Disney movie defaults to the English dub, but the menu also includes the Japanese audio with optional English subtitles for those really want to immerse themselves in the setting. As usual with Japanese anime, especially previous films from Studio Ghibli, attention to detail is a huge priority. The lavishly vibrant palette of Arrietty makes for a beautiful visual experience like a painting come to life. The natural scenery includes leaves shimmering with dewdrops, wind blowing through the grass, and fields of colorful flowers so pretty and delicate it’s more like a watercolor landscape than an animation. But what is easily one of the standout points of the movie was how incredibly immersive the tiny world of the Borrowers is. Much work was clearly done in examining the physics of smallness. For example, an intricate Victorian dollhouse becomes a luxurious mansion, the cups and teapots filled with single drops. Miyazaki’s close-up animation conveys a sense of childish wonder to viewers of all ages. Arrietty is a pleasant change from most Japanese animes in that it does not rely on the surreal or the supernatural. But this is an anime after all, so expect a tearful ending (although no one dies or anything). Disney’s American dubbed version adds some narrated dialogue at the end of the movie that is not in the Japanese original, presumably to end the film on a happier note.